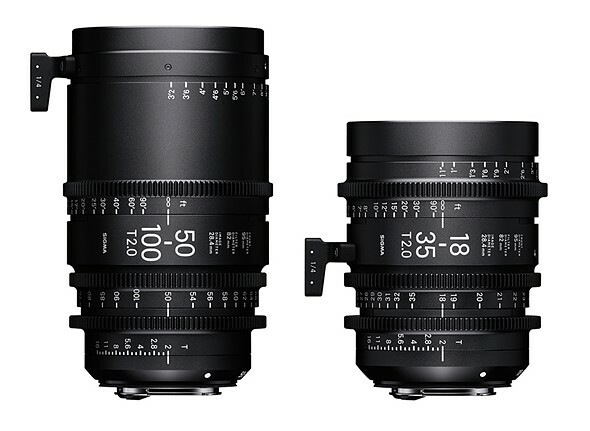 Sigma announced its new line of cinema lenses back in September. Today it announced that the first two lenses in that line to go on sale, the 18-35mm T2 and 50-100 T2, will both ship on December 9, 2016 for $4000 each. Both will be available in EF, E and PL mounts. These weatherproof lenses are completely mechanical and designed for use with ultra high resolution cameras, including those capable of 6 and 8K capture. And another five lenses are slated to join the new cinema line over the course of 2017 including a 24-35 F2.2 and a 20mm, 24mm, 35mm, 50mm and 80mm set of T1.5 primes.